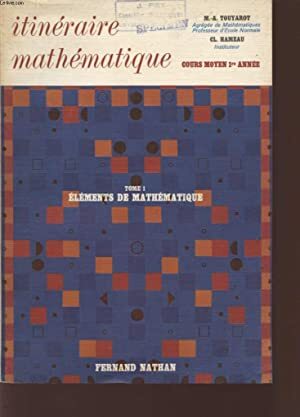 ITINERAIRE MATHEMATIQUE - COURS MOYEN 1ere ANNEE - TOME 1 - ELEMENTS DE MATHEMATIQUE. TOUYAROT M.A. - HAMEAU CL.